Workshop proposals - closed March 15, 2016. 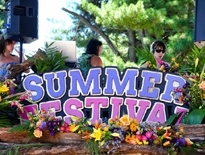 PEX Summer Festival wants your workshop offering. From now through March 15th, the workshop & lecture application process is open for all who wish to share those special skills with the PEX Summer Fest community. We’re looking for passionate, talented people to lead workshops or lectures in dance, exercise, music, healing arts, crafts, knowledge sharing, movement arts, fire arts, hair styling, drumming, acrobatics, yoga of all types, or anything else. While all are encouraged to apply, we are particularly intrigued by those who have a history of holding workshops and those interested in teaching multiple times during the weekend.